I'm standing in between 3 redwood trees named "Trinity Trees." They are located in the center of a nicely manicured lawn. 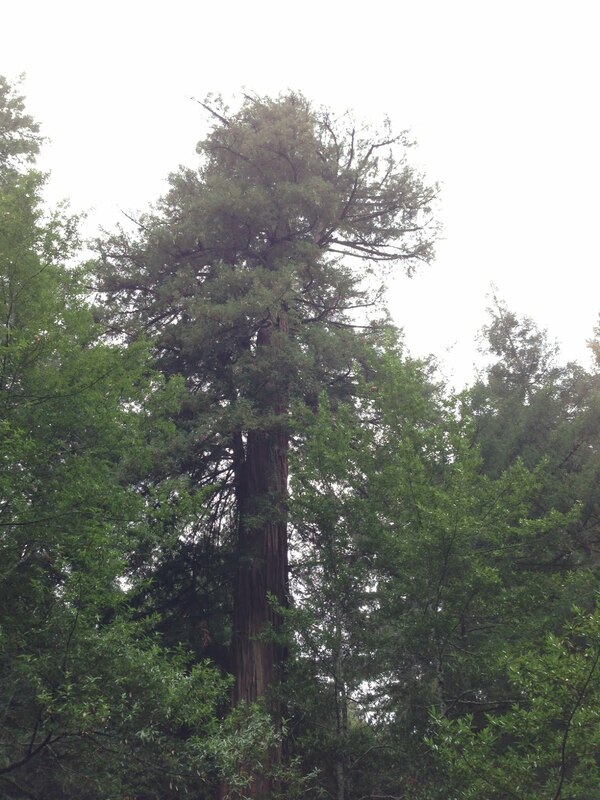 JB is standing in front of another redwood, yet to be named. It is located on the bank of a creek not too far from the Trinity Trees. It was cabled and cut a long time ago and made part of a bridge that went over the creek. This is a very big redwood that will be quite a challenge to get into. Today, we only surveyed the two trees and a small section of the property at Mount Hermon. Tomorrow, we will work to ascend and set up access for other climbers to one or both. In the group photo, from left to right: Danny, JB, Alan & TC.